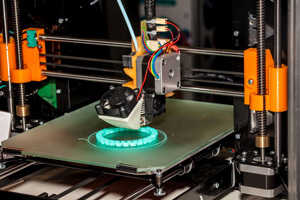 A new version of software designed to help organizations manage all of their printers now connects with specialty services as well, including 3D printers and CNC machines that may be located in maker or fabrication labs. PaperCut MF version 18 includes a new job ticketing capability that enables printing service operators at schools and colleges to accept specialty and 3D printing job submissions, such as laser cutting and prototype creation. The program enables the operator to track those jobs through the production process while also communicating work status to the requester. The new release supports all document formats and fonts from customers' personal, work and mobile devices, according to PaperCut. The customer can submit a print room or 3D job request through a web interface, using his or her existing permissions and accounting information. "The need for specialty print production is only increasing for organizations, especially universities," said imaging and print analyst Andy Slawetsky, president of Industry Analysts, in a press release. "This market barely existed five years ago. Since then, there's been a rapid increase in demand, resulting in a high unmet need for specialty print jobs to be managed and tracked under a unified capacity." The new job ticketing capability is available for an extra charge.